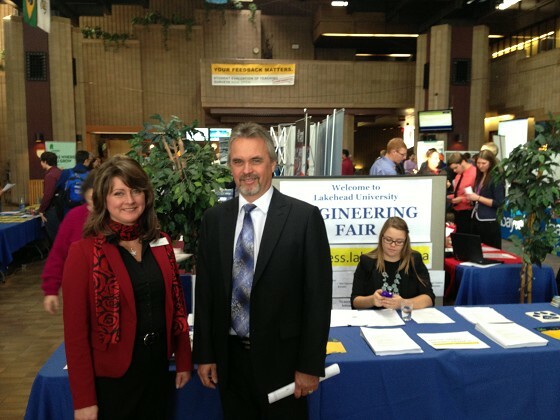 The demand for engineering students from Lakehead University has been so strong that the faculty recently hosted their own event in November where potential employers had the opportunity to meet students. The outlook for engineering is very good throughout Canada. The growth rate is high with a strong demand. The needs for infrastructure and designing the needs of the community throughout the next decade and beyond are fueling the demand. “ We saw in September a CBC News story on the lifting of the Concordia ship in Italy. One of our graduates walked through the news item. He works for a small engineering firm in Waterloo that were onsite helping with the project.” said Barnett. To become a Professional Engineer in Ontario the first step is to graduate from an accredited program such as the Lakehead one. You need 4 years of work experience and then pass a professional ethics exam before you can apply for your P.Eng. The training they get at Lakehead prepares them well for getting their professional engineering license stated Barnett.